The form provides a lot of functionality. 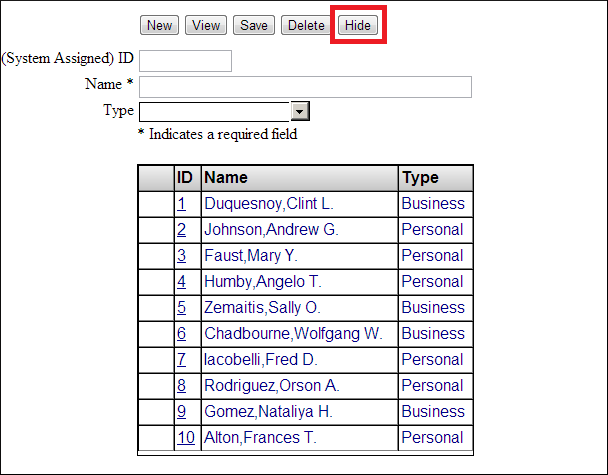 For example, the Search button opens a search table which you can use to locate contacts and load their information into the form. The entries in the search table's ID column are hyperlinks. Click one of the links to load the corresponding contact into the form. Notice also that the Search button has become Hide. You can use this to hide the search table. Now you can edit the details (Name and Type) and click Save to update the contact's information. Note that you cannot edit the (System Assigned) ID field. You can also load a contact into the form by entering a valid ID value into the (System Assigned) ID field and clicking Search. To create a new contact, click New to clear the form, enter a name and a type (optional) and click Save. 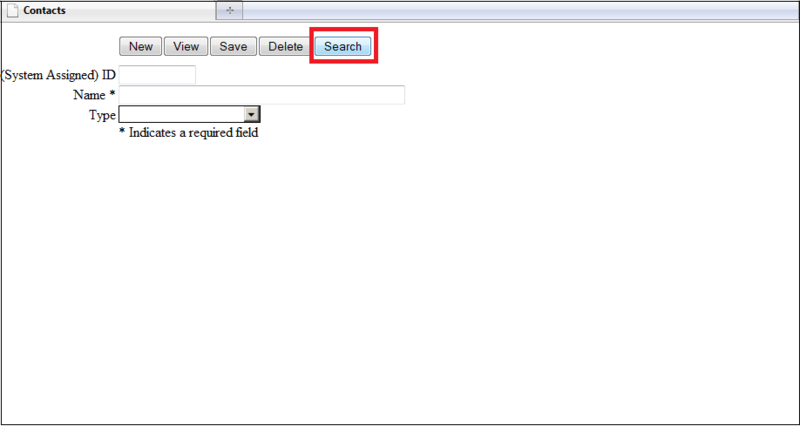 Finally, click Hide to hide the search table. 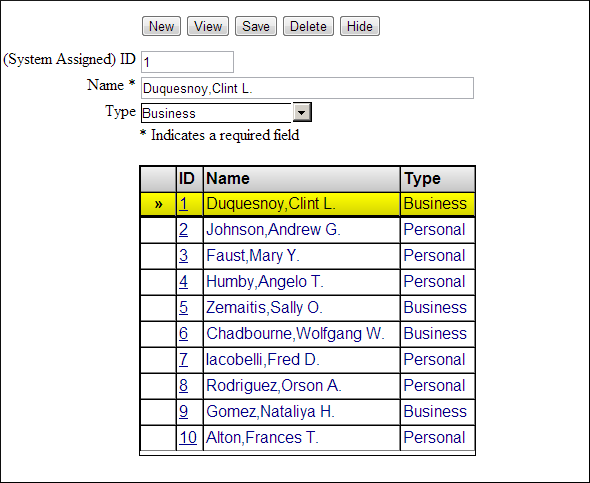 The ID values are system assigned object (row) ids. To learn more about them, read Identifiers for Saved Objects: ID and OID in the Introduction to Persistent Objects section of Using Caché Objects.